Last week, Comcast hosted a Hero’s Summit in Atlanta with over 100 attendees from the Atlanta military community and several local veteran organizations. The event gave Comcast the opportunity to celebrate the military community and offer a day of information and resources for those interested in a career at Comcast. 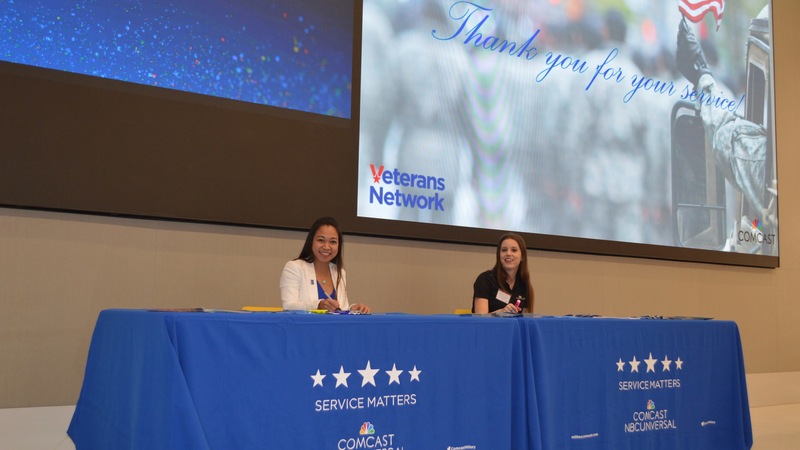 Guests enjoyed hearing from Comcast leaders and military veterans about their career journeys, and had the opportunity to network with recruiters and hiring managers from a variety of departments. The summit was also a great kick-off celebration for Comcast’s recently announced initiative of 21,000 military hires thru 2021. To learn more about this program, visit https://comca.st/2Pw9WUG. To find out more about our military hiring and open job opportunities, please visit our dedicated website at https://comca.st/2PwZyvE.